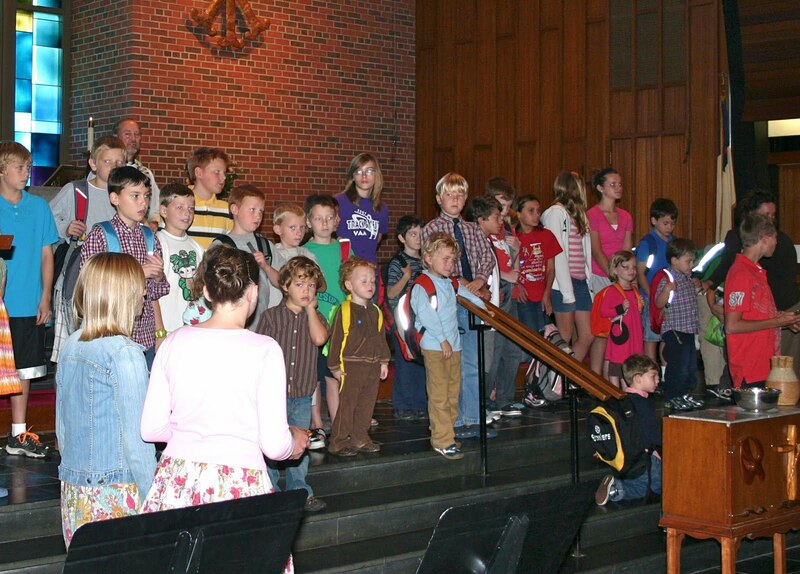 Wooddale Lutheran Church has a Milestone Ministry which recognizes that life is a series of small steps that lead one on a journey – often unpredictable, at times filled with joy, at times filled with fear. As a faith community, Wooddale supports each others’ journeys and it is especially evident for their children as they celebrate special milestones. Some of these milestones are what you would expect in a faith community, Baptism, presentation of 3rd grade Bibles, First Communion and Confirmation. Others are connected to every day life such as the Blessing of the Backpacks as the school year begins, Blessing of the key chains for new drivers and Blessing of the Blankets for graduating seniors. Photo: Children at Wooddale Lutheran participated in the Blessing of the Backpacks on September 12 led by Pastor Tim Rauk.